A grand jury in Mercedes Williamson's home state of Mississippi may be given the option to indict her suspected killer on hate-crime charges. Police in George County, Mississippi, are investigating the May 30 murder of 17-year-old trans woman Mercedes Williamson as a possible hate crime, reports southern Mississippi's Sun Herald. Williamson's body was discovered June 2 in Rocky Creek, Alabama, allegedly buried two days earlier by 28-year-old Josh Brandon Vallum on his father's rural property. Williamson had been living in nearby Theodore, Ala., at the time, but both she and Vallum had home addresses in George County. Vallum confessed to his father Bobby Vallum on June 1 that he had murdered and buried Williamson. Bobby Vallum took the information to police, leading to Josh Vallum being charged with murder. Vallum reportedly knew Williamson was trans, and friends of the teen say she often talked about him. George County Sheriff Department Capt. Ben Brown told the Sun Herald Tuesday that he and the FBI Safe Streets Task Force have been giving the trans teen's death "a thorough investigation to bring justice to the victim's family." "We are trying to determine whether [the killing] is drug-related, gang-related or a hate crime," he said. "These cases take time to work, and we are working on it as diligently as we can." 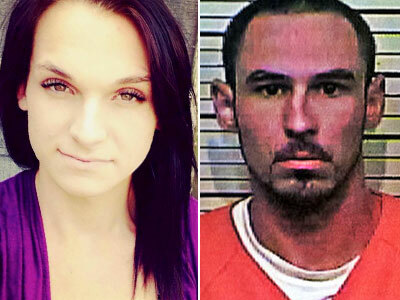 Brown identified Williamson by her male birth name and did not mention that she was transgender, notes the newspaper. Once the investigation into her death has concluded, prosecutors will present evidence to a Mississippi grand jury, which will then decide whether to indict Vallum. District Attorney Tony Lawrence told the Herald that the grand jury is able to indict under the state's hate-crime statute. However, the statute does not refer to crimes committed against perceived gender identity, but rather "gender" — meaning the grand jury would have to interpret this provision to include a victim's transgender status. Vallum's motives still remain unclear, but the Herald has uncovered documentation indicating that he is a member of the Latin Kings street gang, as well as the fact that he lived near where Williamson shared a one-bedroom camper with 41-year-old roommate Jeanie Miller. Miller recalled last seeing Williamson at 2 p.m. on the day of her death. She thought Williamson was leaving with a friend, but Miller's son recalled seeing the young woman leave later in an unknown silver car. After not hearing from the teen for several days, Miller said she called the friend who she thought had picked Williamson up. The girl informed her Williamson was dead. Miller, who told the Herald she loved Williamson "like a daughter," is remembering the 17-year-old as "the most beautiful person." "I miss how she flipped her hair. I miss the crooked teeth with that beautiful smile. ... I can smell her. I just keep wanting her to walk through that door. ... I'll never have nobody like her again. That is barely something that crosses people's lives anyway," said Miller. Josh Vallum is currently being held on $1 million bond. He faces a lifetime prison sentence if convicted of murder, with possibility of parole at age 65.